Little Mermaid Fans…This One’s for You! As many of you already know felt is one of my favorite things! I sell wool felt and felt patterns. I even created a felt book full of patterns for Leisure Arts. With the upcoming release of Disney’s new Little Mermaid Diamond Edition in HD I thought this Mimi Mermaid Pattern might be the perfect gift for the little girls in your life. 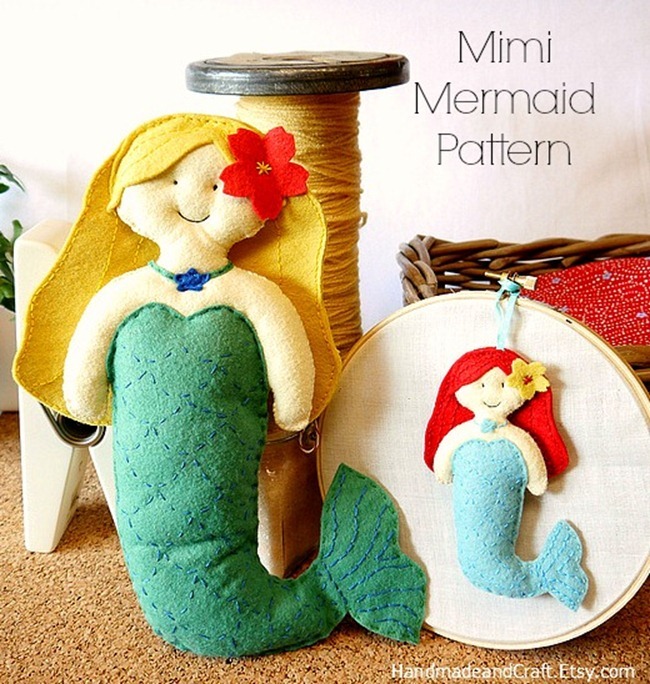 This felt mermaid pattern is available in my Etsy shop as an Instant Download PDF. 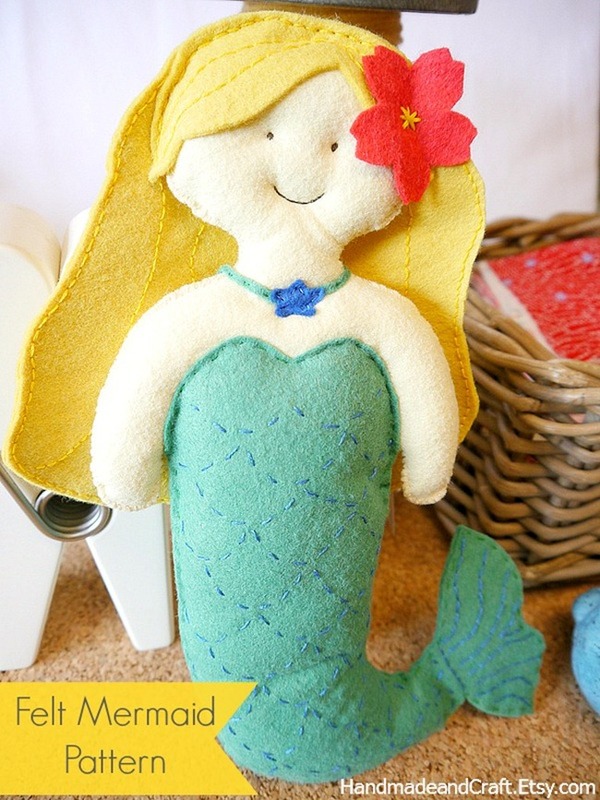 You can create plushies and mini mermaid ornaments…cute, cute, cute! 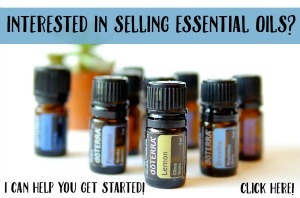 Create some today! 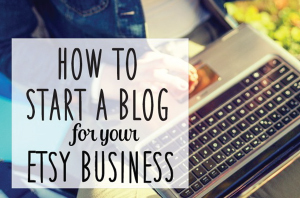 Please let me know if you have any questions while working on the pattern. I’m always up for talking about felt! These mermaids of some of my favorites, for sure! 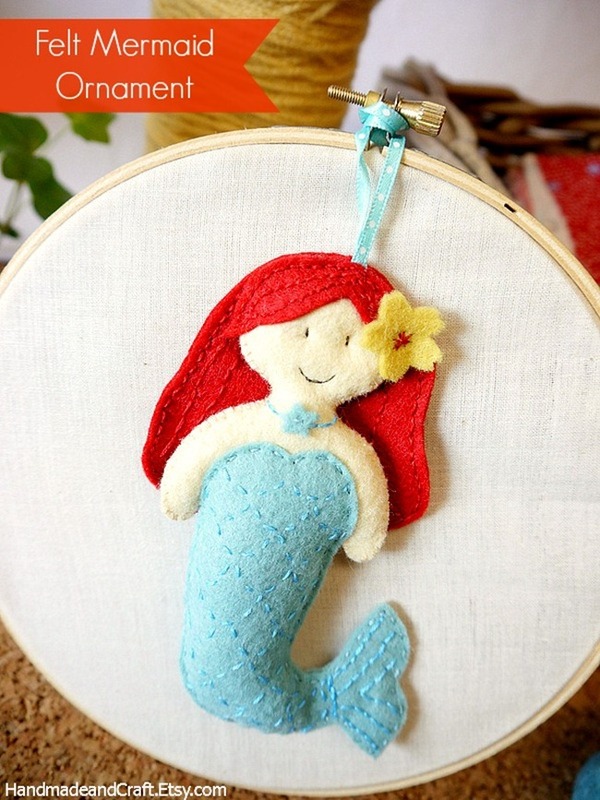 Are you a Little Mermaid fan??? Once I get the songs stuck in my head I sing them all day long!! !